The competition is now officially over, thank you to everyone who took part! Keep your eyes peeled for the next Megger competition coming soon. 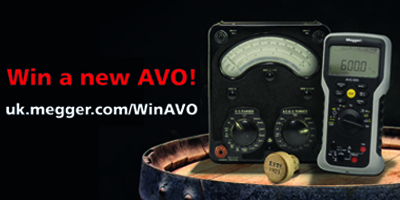 To celebrate the launch of the AVO800 series we have created a prize draw where one lucky winner will receive a brand new AVO835 worth £260. Winners will be selected at random on 29th October 2018. Keep your fingers crossed! Competition ends on 15th October 2018. Good Luck!